Sustainability and environmental conservation are the central pillars of our philosophy for our entire group. From the onset, we have adapted our philosophy in all aspects of our business. Opal glass windows were replaced by glass windows to save on electricity. The insulation in our warehouse was improved - this does not only save on energy but also on costs. Cooling devices are attained according to high efficiency and when purchasing hardware, we pay more attention to saving on energy consumption than their performance. It is important to us that environmental conservation starts with each and every employee. All devices are switched off outside working hours. We also make a point of separating our waste correctly. 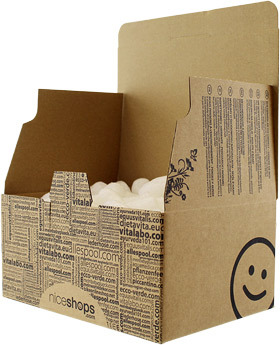 We attach emphasis on sustainability when it comes to shipping our parcels. As a result, where possible, we use organic corn chips (ideal for composting) as filler material in our packages. 95% of our packages contain these filler material chips. It is only natural that we question the sustainability, method of production and philosophy of our suppliers, and as such, are able to ensure you receive the best products and the production standards. Dubious products are taken out of the assortment, or rather not even considered.